Langkawi, 09 January 2018 – The 16th Royal Langkawi International Regatta (RLIR) 2018 started with one harbour race in the afternoon for all classes, when the wind picked up with 6 knots gusting at 10. In the racing class, THA72 took top honours ahead of Uranus and Zuhal, while Alive did not finish the race. Newcomer Char Chan from Japan skippered by Kazuki Kihara took line honours in the IRC1 class followed by Mata Hari , Prime Factor and Insanity. Meraki did not finish the race. The race started about 1.45pm, finishing at around 4pm with some heavy rain surrounding the finish. IRC2 class winner was Phoenix skippered by Niels Degenkolw, second came Old Pulteney Blue Angel and RSYC Nijinsky at third place. Although hugely different in size, the two racing trimarans in the Multihull Class took advantage of the light wind over the heavier cruising catamarans. First came Robert Van Paridon’s Tantrum Too, second Gerhard Pils’ Fetz Ma which is half the length of Tantrum Too and the smallest boat in the regatta with 2 crew members only. Club Class winner was Southern Breeze 3, skippered by Stas Pechenkin, and Linda skippered by Woodrow Jack Christensen came first in the Ocean Rover Class. This year a tight competition is expected in the Racing Class with the defending champion THA72 skippered by Tom Whitcraft being challenged by Alive who is back this year and the Malaysian Navy boats Uranus and Zuhal, who are supporters of the regatta every year. The regular regatta participant Vincent Chan’s Mata Hari, multiple winner and defending champion in the IRC1 Class, is expected to face tough competition from newcomer Char Chan skippered by Kazuki Kihara, who has won the Kings Cup 5 times. A total of 5 boats are competing in the IRC1 Class. 3 boats are competing in the IRC2 Class, 4 boats in the Multihull Class, 7 boats in the Club Class and 3 boats in the Ocean Rover Class. The weather forecast for the first few days is expecting light airs but the wind should pick up towards the end of the race so that the ’round the island’ race can be run. There were 26 boats and 12 nationalities split into six classes. Seven of the boats are locally owned. Five racing courses, including the ’round the island’ course, have been designed by Simon James, who is the Principal Race Officer (PRO). Simon is PRO at the RLIR for the 13th year, a fantastic record. The Tunku Abdullah Sportsmanship Award will be presented to the best team for its competitiveness, fair racing and comradeship, on water and land, in memory of the late Founding Chairman and the first Commodore of the Royal Langkawi Yacht Club (RLYC), Tunku Tan Sri Abdullah. This popular Royal Langkawi International Regatta is the first international event on the annual Malaysian Tourism Calendar. 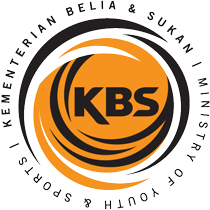 It is hosted by the Royal Langkawi Yacht Club in conjunction with the Malaysian Sailing Association. 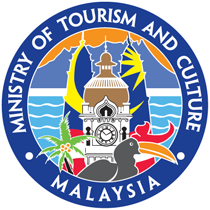 RLIR 2018 is grateful for the continued support of the Ministry of Youth & Sport Malaysia, Tourism Malaysia and the Langkawi Development Authority (LADA), as well as its commercial sponsors and supporters. Media Partners are SEA Yachting, Sail-World Asia, HOMME, Image asia, TraXXf Radio & RTM and Spectrum Outdoor. 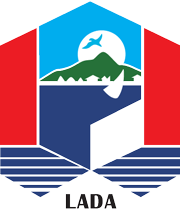 The Royal Langkawi International Regatta (RLIR) 2017 is organised by the Royal Lagkawi Yacht Club (RLYC) and sanctioned by the ISAF and Malaysian Sailing Association (MSA) and supported by the Ministry of Youth and Sports Malaysia. The RLIR is part of the Asian Yachting Circuit. For more information on the Royal Langkawi Yacht Club, kindly visit our website at www.langkawiregatta.com or contact Tayfun Koksal at tayfun@langkawiyachtclub.com Inquiries pertaining to the RLIR 2018, kindly contact the Regatta Secretariat at office@langkawiregatta.com.